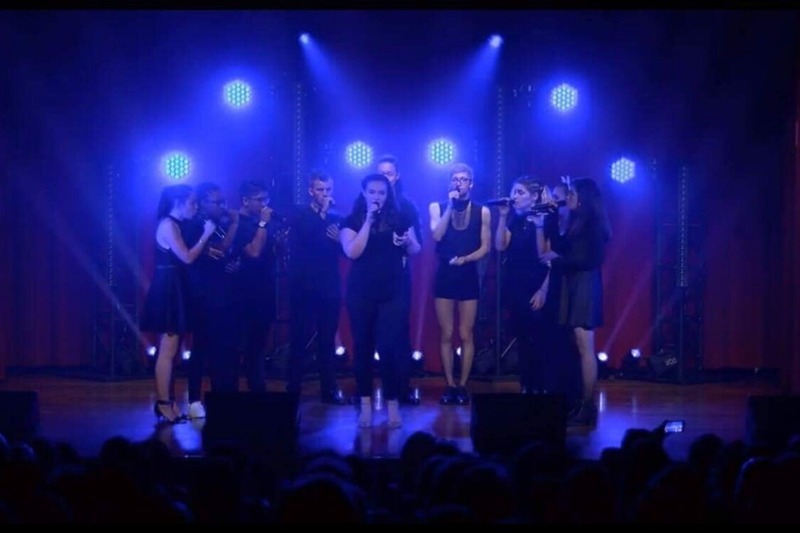 Fundraiser for Lori Cookston by Jesse Cookston : A Cappella Academy: The Sequel! A Cappella Academy: The Sequel! WOW! Here we go again. Except this time I’m even more excited! My first time at A Cappella Academy was a long list of things, including (but limited to); eye opening, inspiring, jaw dropping (face cracking), challenging, loving, and of course, life changing. I finally found my people. I finally found a community where I fully and wholeheartedly believe I belong to. It showed me that musicians can be the nicest and most welcoming people. ACA also showed me that careers in music are not only possible, but obtainable as well. (Not to mention super fun). Before academy, I had never really thought about writing songs or creating original work. But after taking the songwriting track, and after seeing all of the incredible talent and music I was surrounded by, I couldn’t help but start writing my own original material. Now I try to write songs in all the spare time I have. Not only did I have the opportunity to work in groups, and build my musical skills, but we had the privilege of multiple a cappella groups and singers performing for us throughout the week. And let me tell you. These weren’t no amateur first time performers. We saw the Grammy award winning group Pentatonix, the incredible Filharmonic from NBC’s The Sing-Off, the student group Legacy A Cappella, and one of my personal favorites, the trio known as Resound. (Face Cracking:) let me tell you they sANG FOR THE GODS. The blend, the tone, the spirituality. It was truly a face crack for the century. Obviously one of the main aspects of A Cappella Academy is performing with your group at the end of the ten days, but getting there is still a challenge. Learning the music before the camp itself was easy enough, but once we got there we worked on the tone of our voices, blending as a group, transitions into the next song (our group, Sonorus, did a Pop medley), and last but certainly not least, CHOROGRAPHY! Putting all of this together was challenging at first since I had never been in this kind of a cappella group before, but it was beyond rewarding! I thought that going to A Cappella Academy would be like just another summer camp; I might get a few numbers, and continue talking to maybe a few people. I still talk to almost all of my fellow campers. I’ve formed such amazing bonds with so many people from ACA, and I can’t wait to do it all over again! Through the experiences and opportunities I was given, along with the amazing family I can now say I’m apart of, A Cappella Academy changed me in ways that makes me love music even more than I thought possible. It would mean the world for me to go back, and no matter the amount, any donation is absolutely appreciated! Again, thank you for taking the time to read this! Here's my audition video for this years session!